SENIOR Turnbull Government Minister Peter Dutton says Barnaby Joyce had acted immorally but had not broken the law, as the scandal around his affair continues. 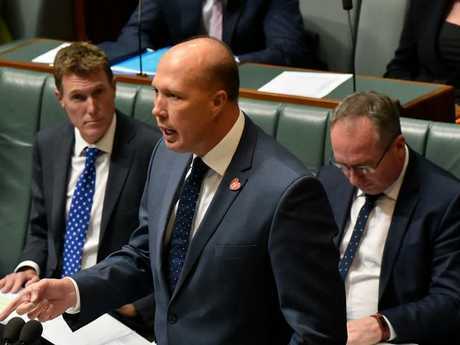 Mr Dutton said the Deputy Prime Minister had not broke the law and it was not up to the Prime Minister to decide his fate. 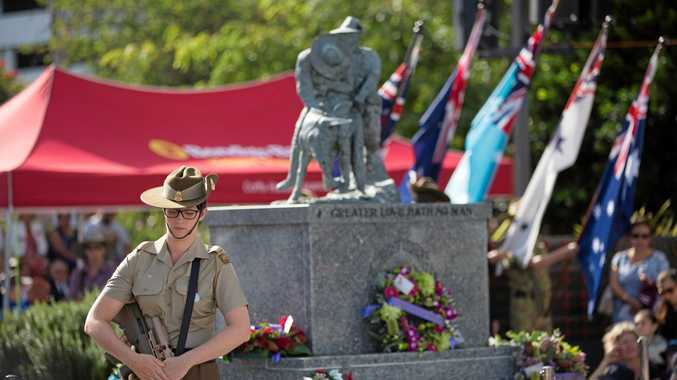 The Queensland Minister said there was a human aspect to the story which should not be forgotten. "It's a tough time for Natalie (Joyce), for his girls, for his new partner, for the baby of that relationship," he said. "People need to deal with consequences, I think Barnaby is doing that as best he can in the circumstances." A battling Joyce has stared down a small group of Nationals trying to kill off his political career, but has created a new divide within the Coalition over his refusal to fall on his sword. 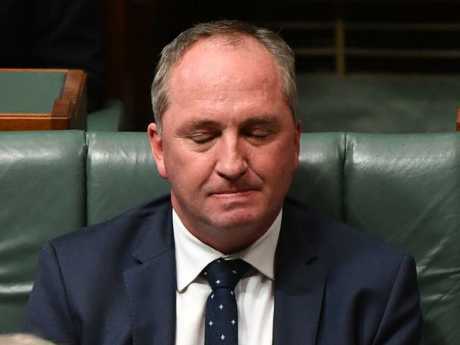 A hard-core group of Joyce backers believe the Deputy Prime Minister has survived a near-death political experience and tentatively celebrated the return of his "mojo" in Question Time yesterday. Fingers were crossed yesterday that there would be no more damaging revelations. In a bizarre on-off challenge that never had the numbers, Mr Joyce emerged victor from his first battle in the wake of his affair with former staff member Vikki Campion. But internally, the Nationals executive and the Government at large were wargaming last night what it would mean for Mr Joyce's popularity within his own base, and what impact it would have on Newspoll, due on Monday. Speculation remained Mr Joyce would take personal leave next week, which would mean he would not become Acting Prime Minister. Foreign Minister Julie Bishop told ABC Radio yesterday she would change her plans to come back to Australia if ­"circumstances changed". Several Liberal MPs have privately said that Mr Joyce should "do the right thing" and resign. The advice, which has travelled back to Mr Joyce, has created new tensions within the ­Coalition and distrust for some offices. Many Nationals believe Liberals want Mr Joyce to go to take power away from the Nationals and hobble their advocacy around the Cabinet table. As revealed by The Courier-Mail yesterday, Nationals President Larry Anthony flew into Canberra to Brisbane on Tuesday night to help calm the party. Chief Nationals Whip and Capricornia MP Michelle Landry has publicly backed Mr Joyce and has privately told her 21-member team to give their leader some "time and space" to deal with his personal issues. Ms Landry told The Courier-Mail the mood had settled in the party. "Everyone is behind him now," Ms Landry said. "He should be given privacy now to rebuild relationships with his four daughters and he has a new partner and a baby on the way." 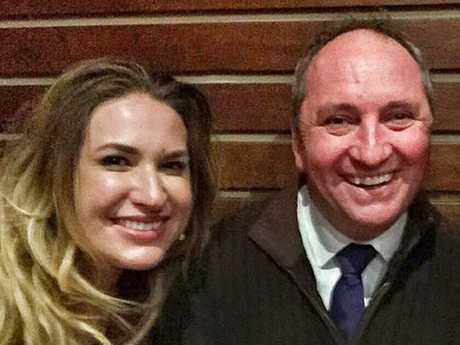 Many Nationals believe that without Mr Joyce - who is expecting a baby with Ms Campion in April - as party leader, they will lose marginal seats at the next election. Some within the party had been expressing frustrations that Nationals deputy leader Bridget McKenzie had failed to publicly back their leader. Yesterday, she came out full throttle in her support. Labor continued to pressure Mr Joyce about claims of abuse of entitlements, with new Cabinet Minister David Littleproud demanding critics "put up or shut up". Member for Dawson George Christensen accused Liberal party members of briefing against Mr Joyce. Asked by The Courier-Mail if he would quit the LNP if Mr Joyce was removed as Nationals leader, Mr Christensen said the numbers were not there for it to happen. "I don't think Barnaby is going to get rolled," he said. Mr Christensen said there were not many National party members who wanted Mr Joyce to stand aside. "There's not many of them actually saying that," he said. "He is one of the greatest assets to the National Party. "There's a small group of people - sadly in the National Party, there's probably more people in the Liberal party - talking about internal politics and leadership down here." There were no formal delegations sent to ask him to step aside, but some Nationals had frank conversations discussing the options. Ms McKenzie backed her boss after keeping her head down since the scandal broke. "I will give you my rolled-gold guarantee that come tomorrow, come Friday, that Barnaby Joyce will be leading the National party," she told Sky News. "I don't agree that all my colleagues are questioning our leader's judgment, that is not my conversations with them at all." Mr Anthony said it was a "very difficult time" for the Nationals, "but the National Party always works through these issues. That's why I am down here".